If you’ve been keeping up with our blog, you’ll have read our recent post on how to prepare for your first workshop as a business owner. 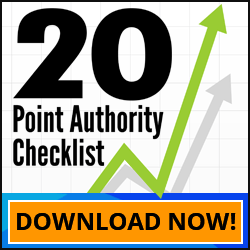 This post shared a chapter from David Jenyns’ book, Authority Content, where he talks about how this is an excellent step for establishing your authority and a way to gather content to use at a later stage. The Authority Content framework revolves around a 3 P’s system, and in this chapter, we concentrate on one of the P’s: Product. This chapter explains how to create a digital information product that you can use to establish your authority and provide value for your audience. It’s definitely worth a read, and we are excited for you to learn more about this important step in growing your business! Nice work, you’ve captured all this beautiful content, several hours of condensed expertise on video, ready to share with the world. You’ve probably already figured out that you’ve going to share portions of the content online as a means of promoting you and your business. In fact, if you’ve followed the previous chapter’s suggestions, you’ve probably already leaked a few photos and video snippets. However, before we get to the “Promote” stage, we need to work on the “Product” stage. Here we need to decide how and where you’re going to share the content as a “complete package.” Ultimately, we’re going to package up the video recording of your workshop and display it as a valuable piece of digital training material. This can then be either sold, given as a bonus or given away. If you’ve never created a digital information product, you might be wondering why I rave on about them. Well, for starters, should you decide to sell it, the delivery cost is virtually nil, providing you with a superb margin on every sale. But what I love most about information products is the variety of different ways they can be used. They make perfect up-sells to add extra profit to every sale. You can cross-sell them when some- one buys another related product. You can even use them as down-sells. For example, here’s one of the ways I use them. 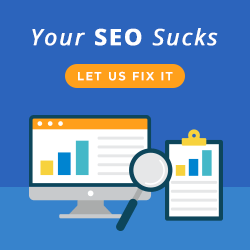 If we get SEO prospects who say they can’t afford our “done for you” services, we suggest they get the cheaper “do it yourself ” home-study digital product. In this way, I don’t have to discount our services and yet I still have an option for those with smaller budgets. Now, I know the idea of selling digital products won’t work for everyone, so don’t worry if selling a training video package sounds like a poor fit for your business. The selling part is optional. There are multitudes of ways you can use it. The main purpose of this stage is to put a value on your workshop content and make it stand out in the marketplace. Everyone has information overload these days, so to cut through the general noise of the marketplace, your content needs to be valuable, relevant and important. It won’t appear that way unless you package it up and position it correctly. To be clear, I’m not saying you should take something of no value and pretend it has worth. Your workshop recordings absolutely have inherent value, because you put time and effort into producing them and the knowledge you share in these videos is important and useful to your target market. However people’s perception of your product, before they purchase it, will be based at least in part, on what’s included and how much you charge or value it. So whether you decide to sell it for several hundred dollars or give it away as a bonus on top of other high-value purchases, in most cases I suggest you assign it a value. In a moment we can talk through some pricing options, but first you need to know what you’re putting a price on. Our “keep it simple” theme is going to continue here, but that isn’t to say that you can just sell all of your video content in its raw state. You need to apply a little polish to enhance the value of the content you’re giving to people. Don’t fall into the trap of thinking you can edit the content yourself. It’s really easy to get pulled into this rabbit hole only to realise after a few weeks that it’s going to take you months to get the raw content into shape. A professional editor, on the other hand, is going to get your video whipped into shape in a very short time frame, and this is crucial to ensuring you maintain momentum and begin utilising your content. Hopefully you have some profits left over from selling tickets to your workshop, but even if you don’t, this is still a worthwhile investment. Tell the editor that you want the footage to contain nothing but the core content. That is, chop out anything that wouldn’t be relevant to someone watching it after the fact. Your editor should also review the testimonials, tidy them up and turn each one into an individual video file – these will be perfect authority assets for your website! The final job of the editor is to encode the video in a format that is suitable for streaming online. Burning the videos onto DVDs or copying to a USB drive and posting them to people is an option, but it adds additional layers of complexity that aren’t really necessary. If you really like the idea of having a physical product to hand over to people, I suggest saving this for your second workshop so you don’t end up getting bogged down in something that turns out to be more trouble than it’s worth. The second part of your product creation is putting together a package and this means we’re going to return to the concept of perceived value. The video on its own is valuable, but the more useful extras you can pile on top, the higher the perceived value. It’s the difference between buying your favourite movie on Blu-ray, or buying a “collectors edition” that also includes a second disc of behind-the-scenes footage, a music soundtrack, and a book of concept art. That’s the feel that we’re aiming for. Alternative Versions: Not everyone enjoys watching videos, so I also include the mp3s from the workshop as well as the transcripts for those who prefer reading. I’ll add a special note about the transcripts, since we’ll use this later in our promotion stage. In short, once the videos are edited it’s good to get those transcribed. I get my Mum to transcribe all of my personal projects and while she’s not for hire, there are plenty of great transcription services available online. Workbook: If you created a workbook for your workshop attendees, you can add this to the package in PDF format. Your viewers can print out the workbook and refer to it while watching the video. Workshop Slides: The slide deck from each of the speakers with space for notes is also a nice extra to complete the package. Gift Vouchers: This can be a great addition and a way to transition those looking to “do it themselves” into “done for you” clients. Often, once someone understands your process and can see the value you add, they’ll be keen to work with you. Gift vouchers give them that extra incentive for them to take the next step. Free Consult: If your product carries a high price tag, you could even include some one-on-one consultation time with yourself or one of your team. This creates added value for the customer and is also a great way of getting to know your customers. Use this opportunity to build a relationship and find out what their needs are and potentially identify areas where you could be of service. Your workshop is now edited together into a slick and consumable video. You’ve packaged up the video files along with a whole host of tasty extras. So, how are you going to deliver this to your customers? Would you be surprised if I were to suggest, at least for your first attempt at an Authority Content campaign, that you keep things really simple? No? Good. That means the message is sinking in. I have already mentioned that digital delivery is going to present far fewer challenges than delivering your package on a physical DVD or flash stick, but even then I would encourage you not to get caught in the details. Your web designer will be able to advise you on the best approach based on your existing website setup but something as simple as a payment button behind which is a password-protected page containing your download links is a good idea. At the time of writing this book, a simple blog with a shopping cart plugin is more than sufficient for your needs. It’s not that I don’t believe you’re capable of producing something more impressive, it’s just that, to be frank, the first time anyone works the Authority Content system, they always make a few blunders (and I’m including myself in that). The mistakes don’t actually matter that much. You can stumble multiple times and, as long as you follow the process, you’ll still see some great results at the end. What I don’t want to happen, is for you to get so bogged down in the details that you lose momentum and give up halfway. This is why I keep saying to keep things simple, move through the process as quickly as you can and once you’ve completed one campaign, you can use the experience you’ve gained, as well as the additional profits, to do an even better job the second time around. What Price To Sell For? How are you going to position and price your workshop package? If you already sell digital products, it might simply be an additional, highly valuable package to place in your store. If you run a service-based business, it could still be sold as a stand-alone product, but you might find it makes more sense to offer it as a bonus to your new and existing customers. For example, if you sell high-end home security systems and your workshop is about how to make your property more secure, you could give away the video as a bonus to everyone who makes a purchase. Or you could sell the video on your site for $99. Or perhaps you own a web hosting business and your workshop is about how to use WordPress to build great websites. Again, you could sell the video on your site for $199 but offer it as a free bonus to every customer who upgrades to a dedicated server package. There’s no “one size fits all” answer to how you should best use your new digital product, you just need to think about what makes sense for you. In practice, you’re not going to know until you try it and measure the results. So don’t worry about getting it perfect. Just pick an angle, see what happens and then adjust accordingly. Selling your product, as I mentioned earlier, is optional, but if it makes sense and fits with your audience, it can be a great way to continue to profit from each stage of the Authority Content process. Even if you’re not intending to carry out any particular promotions, consider completing one or two of the steps below, as some will feed into the success of the “Promote” phase. Step 1 – Ask for feedback: Send review (i.e. free) copies to your workshop attendees, event partners, and VIP clients, and invite them to send you feedback. Ask them to tell you what they liked, what they didn’t like and if there’s anything else you could add to make the package even better value. If you’re getting good feedback and if they haven’t already done so, this is another opportunity for you to ask for testimonials. You may also identify potential promotion partners. Step 2 – Email Your Database: Having made any adjustments based on the feedback phase in step 1, I approach step 2 in the same way as I promote the live workshops. I send a couple of teaser emails before making the sales page live, and I make sure to include an “early bird” offer to encourage people to take immediate action. The “early bird” offer doesn’t necessarily have to be a discount on the price. It could also be an additional bonus, such as an exclusive webinar or gift voucher for your next live workshop. Step 3 – Joint Ventures: Start with your close business colleagues and then move on to any people and/or businesses you partnered with during your workshop. Most will be happy to recommend your product to their audience, particularly if they’ve been involved and appear in the videos. These people already know your product is great and will be able to talk intelligently about it to their customers. Step 4 – Cross Promotions: This final step takes a little more effort but can be very lucrative. The idea is to find companies that provide products and services that are complementary to your business, without being directly competitive. Invite them to review and, if they like the program, potentially give away your product as a bonus to something that they sell. You don’t directly profit from this exercise but it’s a superb way of widening your market reach and gaining access to their best clients. All of this goes back to our earlier discussion about using workshops to demonstrate your expertise, to educate people on how to consume your product correctly and to create joint ventures with other people in your industry. Whereas your “live” workshop only reaches a roomful of people, the video recording of your workshop can reach hundreds or even thousands of clients and prospects. This final step is starting to cross the line into the “Promote” stage, which is perfectly fine because we’re now ready to move on to this final part of Authority Content. Creating a digital information product is a highly effective way of establishing your authority in your industry and providing value to your audience. Of course, the type of product that you will want to create is going to be highly dependent on the type of product or service you already have, but by following David’s advice you can easily find a way to make this work for your business. Before you get started though, it would be a great idea to read Chapter 5 of the book to understand more about the 3 Ps framework, and you’ll want to also check out the other chapters to be able to understand the full picture. To get on to that you can head over to Amazon or the Authority Content website to purchase your own copy of the book.